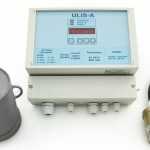 Ultrasonic gas meter is designed for measuring, under operating conditions, flow velocity, volumetric flow rate and volume of natural gas and other gasses transported through the pipelines of circular cross-section in the forward or reverse direction, as well as measuring operating and down time. 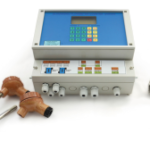 Ultrasonic Liquid Flow Meters of various modifications are designed to measure the flow rate, volumetric flow rate and volume of “conditionally pure” liquids that do not contain significant amounts of suspended solids transported via pressurized pipelines of circular cross-section in the forward or reverse direction. 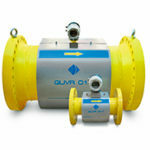 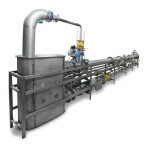 ULIS-A is ultrasonic pig passage detector designed to detect pig devices passing in pressure (fully filled) pipeline under the flow of liquids, registration of moment of pig device crossing the controlled section of the pipeline and signal issue upon detection into the data acquisition system or to ACS. 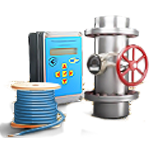 Automated verification installation for gas & liquid meters intended for verification (calibration) and testing of turbine, rotary, ultrasonic and vortex flow meters, meters of natural gas, air, other gases and mixtures thereof, having an output pulse signal by means of comparison with reference meters.